There’s a contradiction in how our club is currently being governed. On the one hand we have Board members calling their own press conference disguised as a so-called Special General Meeting to confirm their mass resignations and on the other we have the club continuing to operate with Christmas parties, charity collections and even a Soup Kitchen showing that despite the lack of formal leadership at Merthyr Town FC we are probably more united and are engaging with the wider football community more than at any time in recent history. Match day at Penydarren Park relies on a regular team of volunteers who ensure that we can continue our love affair with our heroes in black & white. Their contribution to the Martyrs cannot be underestimated with turnstiles manned, programme production & sales, 50/50 tickets sales and of course stray footballs found on the tundra of the Theatre End plateau. This group seem to be working successfully as an independent unit from the Board. The team under the guidance of one of our own Gavin Williams is rolling with the peaks & troughs of semi-professional football as players are injured, suspended and on holiday. We are still on the margin of the promotion play-offs and our team spirit is second to none so who knows where this season can end? The fans have decided to go their own way. That feeling of being unable to affect how the club is governed has resurrected the desire to change the way that the club is perceived; Toys for Grenfell, a trip to the panto, a welcome to the Chesham and Poole fans visiting us, future quizzes home and away and a sponsored walk for the return to Poole. Our clubhouse seems as busy as ever at the moment with Christmas parties and bands booked over the festive period. Once again a small band of volunteers are putting in the long hours to keep the tills ringing at this competitive but vital time of the year. We still have no clue about the reasons for the resignations from the Board and we only have rumours as to the current financial state of the Martyrs. The owners haven’t seen a set of Board minutes for many months so we have no idea if a loan to the club by Board members was approved. 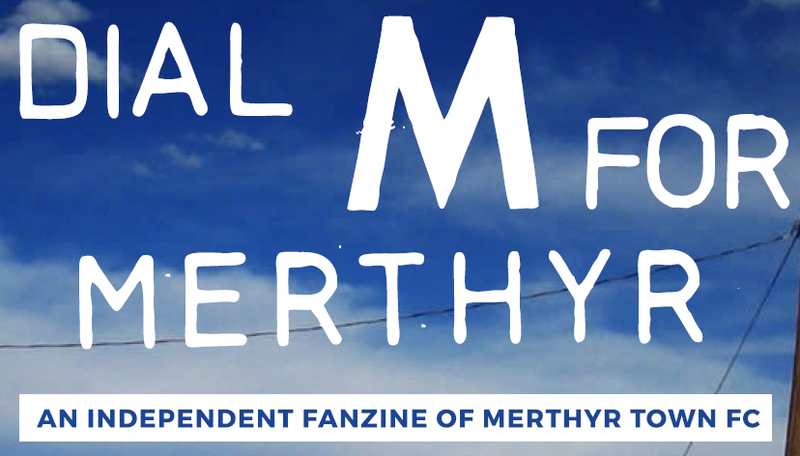 Merthyr Town FC can seem a very anarchic organisation to the casual observer. We say that we should embrace that anarchism and embrace the true meaning of the term in that we don’t need a Board of Directors just a collective of groups working independently of authority for the greater good of the community. After all if we don’t have a Board then no one can resign. Anarchy at PP – let’s embrace it!